A new design for a new era! Following its recent fundraising, La Belle Assiette changes its identity to better support its new ambitions. Already the leader on the European market, La Belle Assiette now wants to internationalise. Our goal was to create a completely unique and easily identifiable logo. A simple logo that, while being impacting and universal, was able to operate in several different countries. These ideas are embodied in our creative process, with a prime choice of warm colors that evoke gastronomy and conviviality. Two powerful colors, along with a complementary color, creating a unique combination and easily identifying La Belle Assiette, even without the logo. But so we also needed a clear logo, one that was easy to distinguish even in smaller resolutions, which is a leading criterion for online use. And our desires were carried thereon. A logo that meets the criteria mentioned above, highlighted by a symbol, and easily identifiable. Two colours, with striking patterns in the background and using a single sans serif style… Our goal is to truly simplify our appearance and navigation. But it is also to offer you a whole new experience, starting with the graphical aspects of the site. This is why that, in addition to the logo, you’ve probably already noticed the complete overhaul of our website’s homepage and numerous graphics. Ultimately, it is more general reflection that is taking place in our team, not only throughout the booking process, but also on the delivery and the event itself. In short, this identity change is just the beginning of a larger initiative targeting the experience offered by La Belle Assiette. 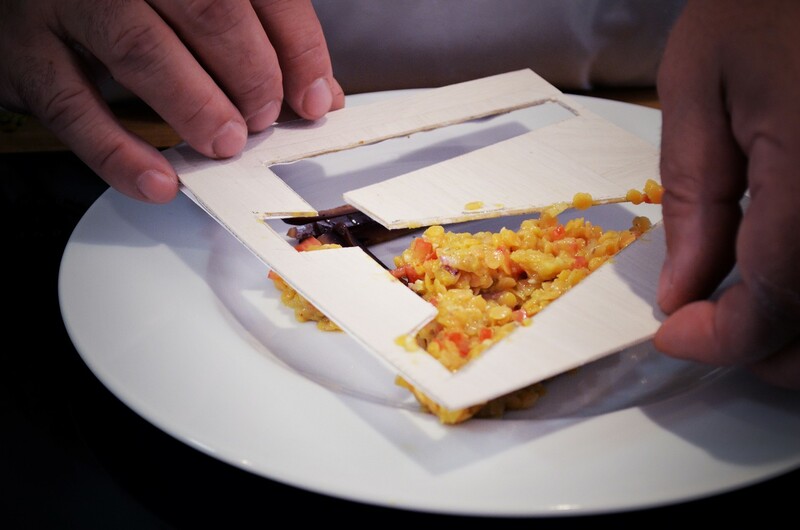 Our goal is to improve a little more each day, to give you an ever more unique and unforgettable experience with our private chefs. To illustrate this, we leave you in the company of our latest video that explains this reinvigorated philosophy and introduces the new design. 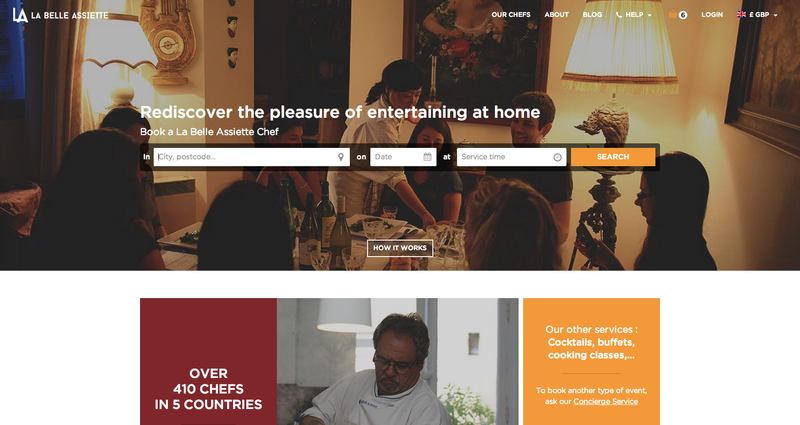 500 chefs are now online on La Belle Assiette!